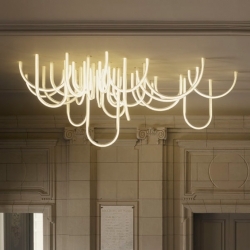 'Les Cordes' amazing and monumental chandelier by French designer Matthieu Lehanneur at Palais Borély in Marseille, France. 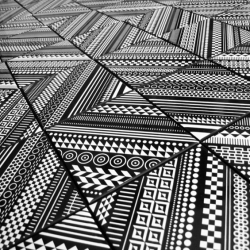 'Tile Collection' ceramic tile graphics by designer Matt W. Moore for Core Deco. 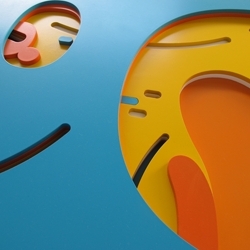 Argentinean street artist Chu Doma brings his art indoors with his beautiful multilayered sculptures that capture his signature playful and colorful style. 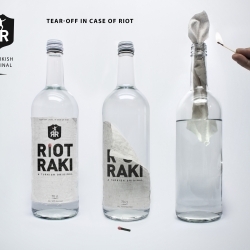 Our project about the alcohol debate in Turkey and the still going-on riot. 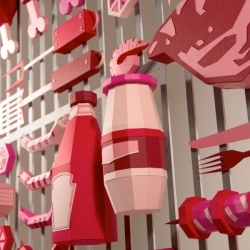 A new line of whimsical trophies to celebrate everyday life achievements by Trophy Buffet. 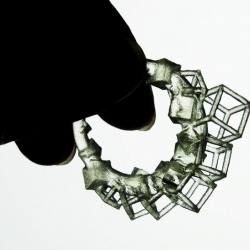 'Edge' is a series of rings that measuring human size and placing tolerances for fit. The aim is to extend the range between the minimum and the maximum dimensions of the internal dimensions (ID) as much as possible and then determine and design the ideal size with frame of cubes. 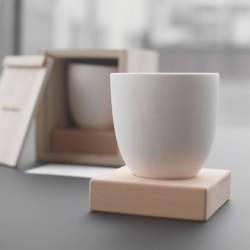 'Secrétaire' a collection of fashion accessories premium by the French designers Emilie Aubry and Laurène Bordes for Sept.
02 Tea Cup by Sung Jang Laboratory is released in limited edition. 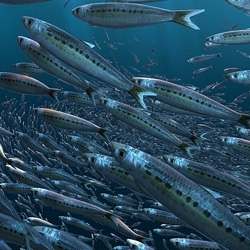 Boil Up by Robert Hodgin is an incredible bait ball and swarming simulation. It was commissioned by the Auckland War Memorial Museum for their upcoming exhibition Moana, My Ocean. 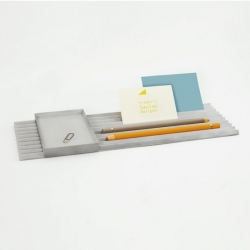 'Monticule' pencil box by French designer Frédéric Saulou. 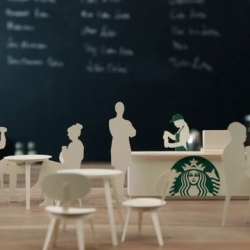 VIDEOStarbucks video telling the reversed story from coffee bean to coffee cup with beautiful animations. 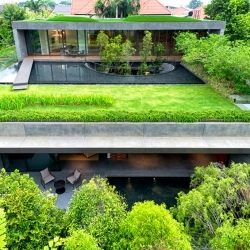 'The Wall House', when two houses become one, by Farm Architects in Singapore. 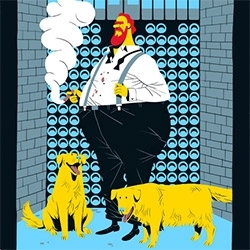 A series of illustrations depicting the Seven Deadly Sins in a modern contemporary way by Vincent Mahé. 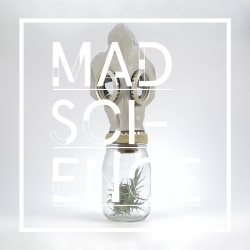 A group of PDX creatives have come together to create Mad Science. A science fiction based art show that takes place in 2045, transporting some of the greatest minds of 2013 to the future to solve the problems that plague future Earth. 'Mediatheque Glob' by Randja architects in Etampes, France. Street Stone, series of digitally created images conceived of and shot by photoshop manipulation. The classical male and female Greek statues don contemporary casual fashions for a surprisingly cool look. 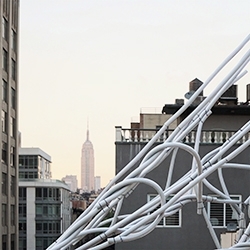 'Stip' is a collaboratively developed installation out of ropes and pipe insulation forming a pliable, soft and erratic structure. 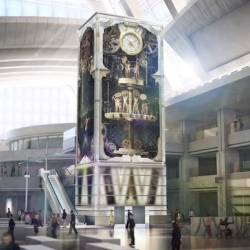 Commissioned as the executive multimedia content producer for 7 media features at the new Tom Bradley International Terminal at LAX, Moment Factory created 4 hours of original video content, as well as many interactive capsules. 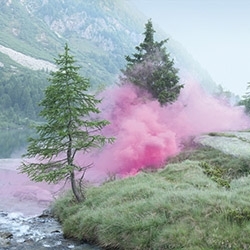 The photos of smoke-bombs in romantic landscapes by Italian photographer Filippo Minelli helped winning gold at the Norwegian Design Awards and silver at the European Design Awards 2013. 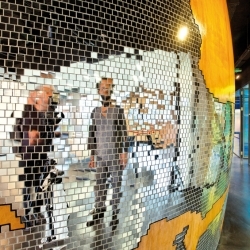 GINDS by Jeroen Bisscheroux is exploring the boundaries of Amsterdam Zuid. 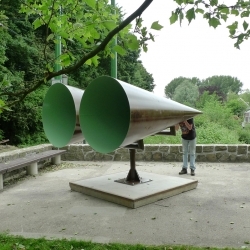 This set of 2 conical horns are capturing and amplifying the sounds on the other side of the border. Stand in between the two horns and listen to what is happening 100m away. 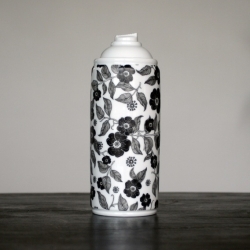 Spray paint porcelain by NooN x K.Olin tribu // Porcelain made in Limoges, France. 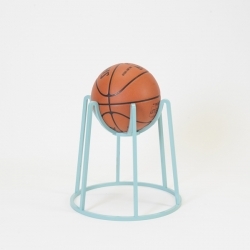 Basketball hoop with an iconographical approach, Bucket is a versatile structure – by flipping upside down, it can be used as a stool, a ball storage, and a table base. White Reef, hand-cut paper dress by Casey Watson, awarded 1st place at a recent Wearable Art Fashion show in Montreal. 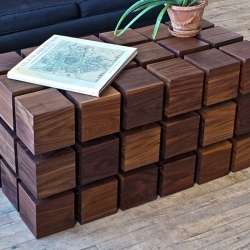 Float Coffee Table by RockPaperRobot, matrix of 'magnetized' wooden cubes that levitate with respect to one another. 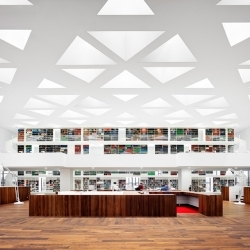 'Erasme Medical Faculty' by Claus en Kaan Architecten in Rotterdam, Netherland. 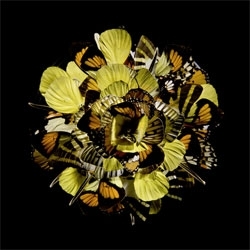 FEATUREDIncredible sculptures created using the wings of butterflies. 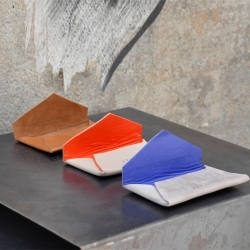 Beautiful pieces from Anabela Chan at Show RCA 2013. 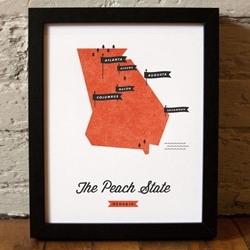 Modern and colorful state prints via These Are Things in Brooklyn. 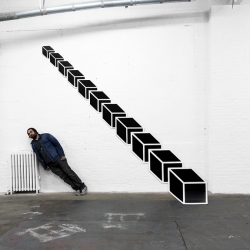 New exhibition of site-specific installations by Aakash Nihalani at Signal Gallery playing with forced perspective and viewer interaction. 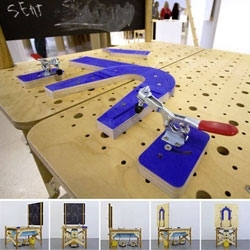 FEATUREDA steam bending Sweatshop from Joe Pipal at RCA 2013 that brings manufacturing to users with a minimum of mechanization. 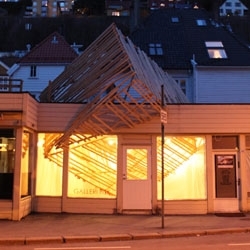 Hidemi Nishida's wooden cube installation "Fragile Invasion" permeates Galleri Fisk in Norway. 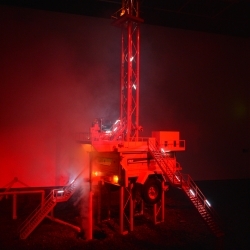 Artistic Engineers have turned the FACT Gallery in Liverpool into an experimental Fracking Site. Zim & Zou's paper barbecue. 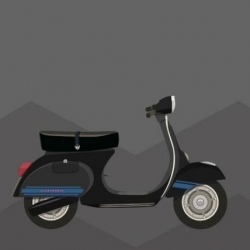 VIDEONomoon's retrospective of Vespas from 1943 to 2013. 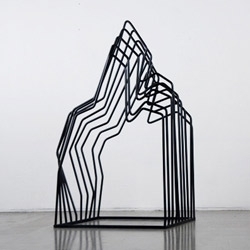 Ten explorations on the possible meanings of negative space showcasing new and intriguing perspectives. Walking Drawings: Coloured People by Evewright. 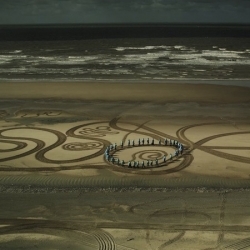 Evewright creates large-scale drawings on selected transitional 'sandscapes' using the British coastline as a canvas, with a combination of mechanical and freehand tools. Naomi Vona is an italian artist who lives in Dublin, Ireland. 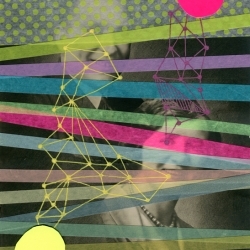 She works on vintage found photos creating a new interpretation of the original shots, simply using pens, paper, colored tape and stickers. 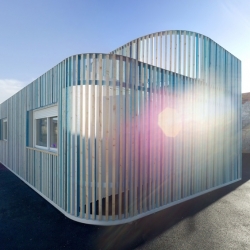 'Makarenko nursery school' by French architects Ellenamehl, in Irvy-sur-Seine, France. 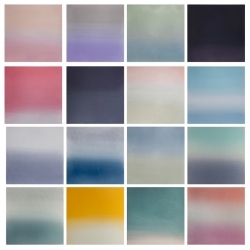 Miya Ando's Hand dyed, anoidized paintings on view at Sundaram Tagore Gallery NYC. A padded cell, with cotton candy walls, was created by artist Jennifer Rubell for the Performa Arts' Red Party. 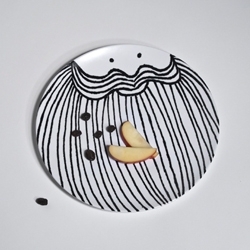 Food in my Beard plate series by designer Phil Jones. 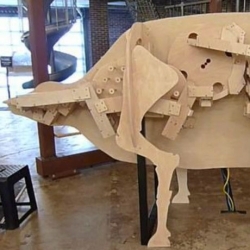 VIDEOA Rube Goldberg machine demonstrating the digestive system of a cow! 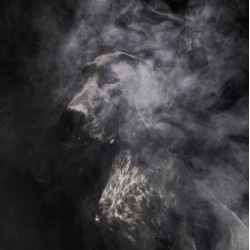 Gorgeous new photos from Martin Usborne. 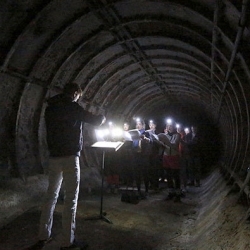 The London Contemporary Orchestra head underground, filling abandoned tube stations with music in their Imagined Occasions series. 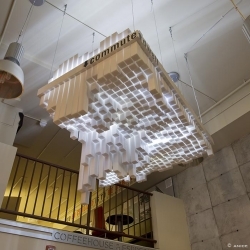 Taking Dr. Spiro Kostof’s dictum “To be civilized is to be urban” as inspiration, Studio Twenty Seven Architecture launches a series of installations to challenge urban norms and encourage non-standard thinking. 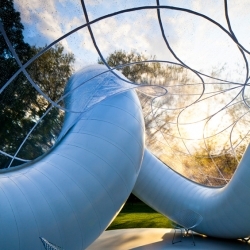 The 'Peace Pavilion' at Museum Gardens in Bethnal Green, London by the architects Atelier Zündel Cristea is the winner of the contest organized by ArchTriumph : 'Triumph Pavilion – Summer Pavilion 2013'. 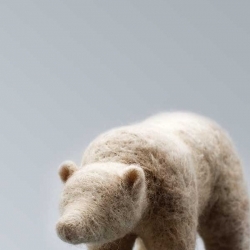 Caste Projects are involved in design, branding, and interiors but what I'm loving is their needle felt polar bear. Hell is Other People, an experiment in anti-social media. 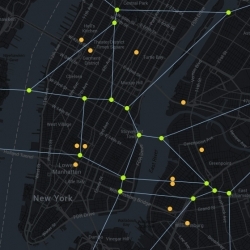 It uses FourSquare to track your 'friends' and calculates optimal locations for avoiding them. 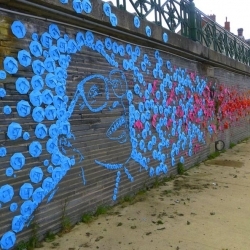 New origami street art by Mademoiselle Maurice outside Montée St-Maurice as part of the 2013 ARTAQ Festival in Angers, France.